This week's features show is BurtFest 2017 Sunday at 2 p.m. at Showplace Theatre. FTMP Events has hit the 5 year mark, and they have their biggest celebration planned yet! With a stacked line up of 15 of Buffalo's Best Bands rocking Showplace Theater all day! Get into this ALL DAY CELEBRATION OF LOCAL MUSIC!!! 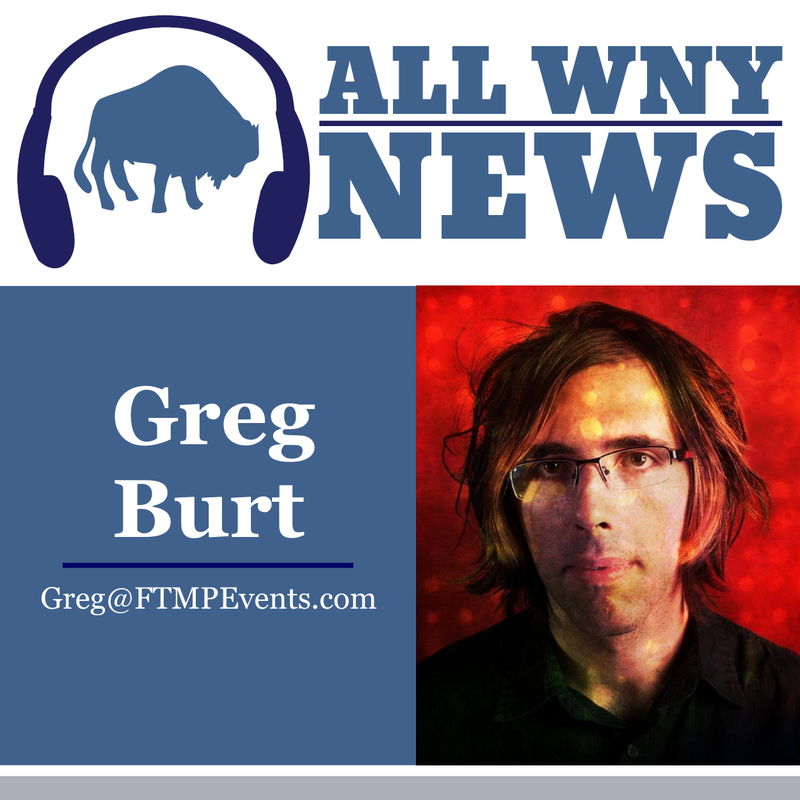 Greg Burt started his venture into the local scene during his time at 91.3 FM WBNY (Buffalo State College's Radio Station) where he was handed The WBNY Local Show and decided to run with it. From his time there the show grew to feature multiple live interviews and performances every week from local artists and had a strong following. He also grew more involved in WBNY by taking over Music Director and Webmaster duties for a couple years until he graduated with a Computer Information Systems degree. During his time there he started to dabble in booking as a part of Incite A Riot which was lead by the hard working Nick Ramirez. After a couple years of trying to keep it afloat, and bringing acts like Twenty One Pilots and Hawthorne Heights through, Incite eventually folded due to the workload and financial strain. But Greg wasn't done, along with some help from the disbanded Incite A Riot crew, For The Music Productions was born. It all started as a humble group of music lovers showcasing local music at small stores on Elmwood such as Filigrees and Guerilla Gallery/Allentown Music Too under the "For The Music Productions" banner. During this time he became the Program Director for All WNY Radio along with the Buffalo representative for Eat Here Records as well. Greg Burt has continued to push FTMP to grow, and grow it has thanks to all the continued support from the local scene! 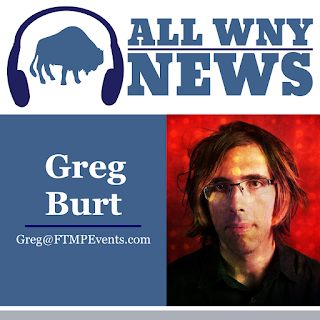 Greg was then hired by The Forvm/Maple Entertainment Complex, a concert venue in the Amherst area, where FTMP based it's operations for a couple years. Showcasing all kinds of events such as weddings, boxing matches, and of course a TON of concerts. The Forvm brought performers such as Aaron Carter, Da Mafia 6ix, Frankie Muniz, The Ataris, Red Dragon Cartel, & so much more to the WNY area! But after a while it couldn't keep up with the rising rent and pressure from the landlord and eventually was sadly forced to close it's doors. Now freelance, For The Music Productions rebranded as FTMP Events and presents shows all over WNY at venues such as Mohawk Place, Evening Star Concert Hall, Stamps, & Sugar City. Greg Burt, Ashley Hoffman, and Cory Coleman continue to make it happen and are proud to say FTMP is here to stay. But, FTMP Events wouldn't exist without all the bands, fans, and support which we could never thank everyone enough for over these years. FTMP Events (For The Music Productions) is a booking/promotion agency organizing concerts & other events in the Buffalo, NY area. Through offering opportunities for bands to perform, they continue to enrich the music scene around Western New York while also pushing to bring some of your favorite bands & musicians to town. FTMP prides themselves in presenting enjoyable events for both young adults & bar goers along with opportunities for performers to hone their skills, build friends & connections, and continue to grow! Tickets are only $10 in advance, or $15 at the door for the 5 Year Anniversary of FTMP Events : BurtFest 2017! A $25 VIP Ticket is also avaialble which includes access to the upstairs lounge which overlooks the room & stage along with a separate bathroom, seats, & a small BurtFest merchandise package. Crooked Gener8ion, As Summer Dies, Gods Creatures, So Far So Good, The Second String, Exham Priory, The Rifts, Improbable Cause, PA Line, The Odds Are, The Good Neighbors, Orange Friction, Bighorn Sheep, THE NIGH, & Slaves To Sound are set to rock the iconic & newly reopened venue Showplace Theater! Come early, stay late, rock out, and keep supporting your local music!